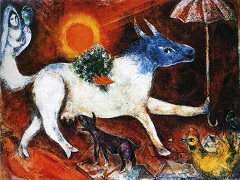 As in the work of his great contemporary, Picasso, there are analytic and synthetic phases in alternation in Chagall's art. 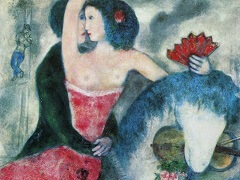 In the early Paris period, influenced by the analogous methods being applied by Cubism, Chagall explored his experiences through the interaction of motifs; he juxtaposed impressions and memories, linking them only by means of an abstract structure unifying the whole canvas space. Later in Paris he increasingly paid attention to the scene that dominated an entire picture, intensifying thought into one single moment where time appears to stand still. "Even as I was taking part in that unique up-heaval in artistic techniques in France, in my own thoughts, in my soul as it were, I returned to my own country. I lived with my back turned to what was in front of me." 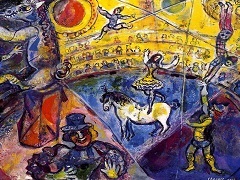 Thus the artist described his focus on the past, writing in 1960: that return to the past was also a withdrawal from the art scene of the avant-garde, which equated artistic progress with novelty and with originality of language, both spoken or written. 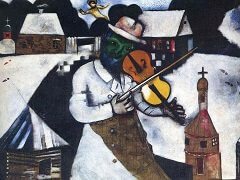 "I do not personally believe that scientific aims serve the cause of art well. 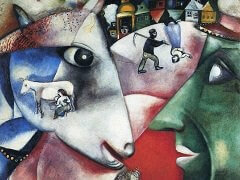 Impressionism and Cubism are alien to me. It seems to me that art is first and foremost a condition of the soul." 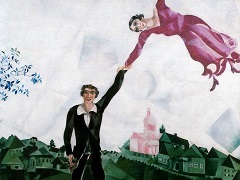 Chagall's works increasingly reflected this unease concerning the neutral beauty of the visible world and his rejection of "an era that sings hymns to technology and deifies Progress". 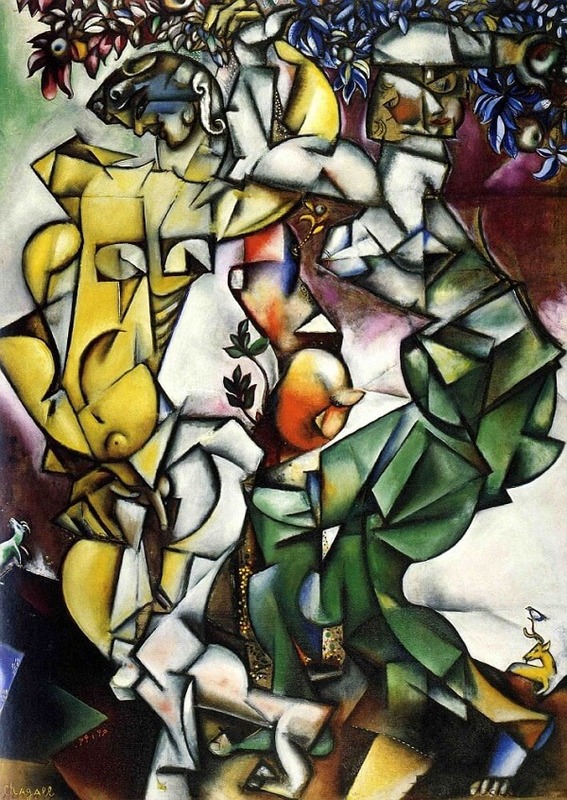 Paintings such as Adam and Eve, dated 1912, which still - with their dissectional analysis of form - owe everything to a sense of the intrinsic dynamics of shapes in art, prove typical for only a short period in Chagall's work.